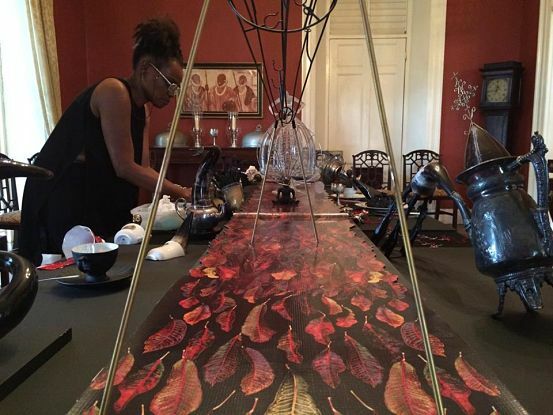 HER OWN CREATION: Artist Jasmine Thomas-Girvan putting the finishing touches to her award-winning piece. The 2017 Jamaica Biennial now on view at the National Gallery is a singular achievement – an elaborate and richly diverse art showcase – that stands out from all previous exhibitions inside that hallowed space. For one thing, it’s by far “the largest and most complex Biennial we have ever mounted,” reveals executive director Veerle Poupeye whose hardworking and very competent team had their hands full in the days and weeks leading up to Sunday’s grand opening. The exhibition also boasts the single largest piece of art the gallery has ever housed – Laura Facey’s “Ceiba,” a gigantic blue and red drum carved from the remains of a cottonwood tree that grew by the banks of the White River in St. Ann. “Ceiba” had to be brought in with a little help from the Jamaica Defence Force. 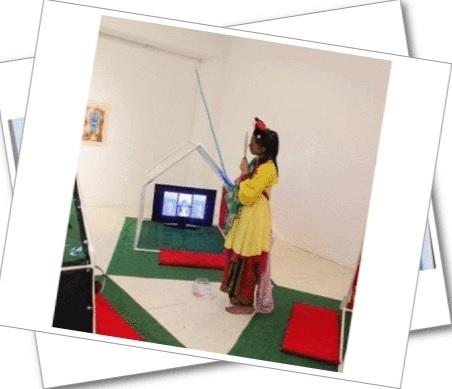 The 2017 Biennial also has the distinction of presenting the Aaron Matalon Award (for most outstanding entry) to an individual artist winning it for the second time in the history of the exhibition: Jasmine Thomas-Girvan, whose “Parallel Realities Dwelling in the Heartland of My People” (on view at the Devon House section of the Biennial) is, to say the least, a daring display that reflects wild-at-heart imagination and gothic sensibilities. Unsurprisingly, the selectors had an enormous pool of submissions from which to choose the final crop of artworks that make up the exhibition. For the juried section, some 174 entries were submitted by 110 artists. 66 entries by 49 artists were selected. 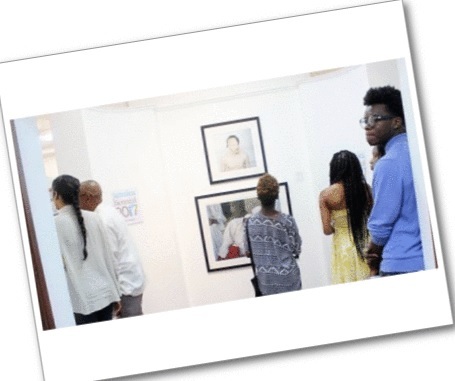 The invited section (reserved for the masters and living legends of the Jamaican art world) yielded 61 works by 35 artists. Not including the special projects and tributes to Alexander Cooper and Peter-Dean Rickards, both sections combined to offer 127 works. But that’s not all. The gallery staff also have in their possession several mega-sized works and projects that require significant technical support and specialized equipment. “We were actually looking into adding additional venues,” Poupeye points out. 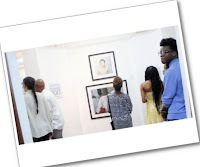 In addition to the Downtown-based gallery and Hope Road’s Devon House, the National Gallery West in Montego Bay has works on display. With so many pieces to choose from – brilliantly crafted by home-based, Diaspora-based and international talents, choosing the winners of the two prizes (the Aaron Matalon Award and the newly introduced Dawn Scott Memorial Award) was an unenviable task. While Thomas-Girvan, a Trinidad-based Jamaican, took home the Matalon, art critic Edward Gomez opted to recognize three artists with the Scott: Andrea Chung (a US-based artist of Jamaican and Trini parentage), Alicia Brown (a St. Ann-bred Edna Manley College graduate) and Greg Bailey (a 2011 Edna Manley College grad now based in St. Catherine) were the recipients. > Jamaica Biennial 2017 remains open to the public, at all three locations, until May 28.